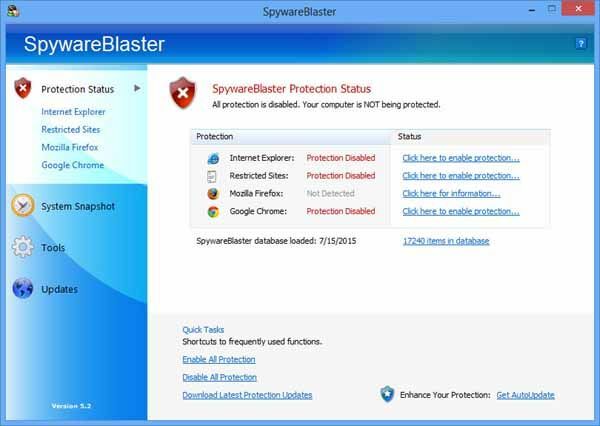 Free download SpywareBlaster latest version. SpywareBlaster can help keep your system secure, without interfering with the “good side” of the web. And unlike other programs, SpywareBlaster does not have to remain running in the background. It works alongside the programs you have to help secure your system.